Many small-business owners are perplexed by all the fanfare surrounding Facebook marketing. Sure, they can see the return in terms of interactions and maybe even new fans from sharing videos, photos, questions and other content. But why invest all that time and energy in community-building efforts when the real goal is to sell? Scroll through your News Feed on any given day, and you'll notice that photos and questions get the most traction. But the challenge for most business owners lies in how to take that momentum and convert it into buying power. Think of Facebook as the first step of your sales cycle. The ultimate goal is to move fans outside of Facebook to a website or sales page, but first you need to build trust and identify leads. And that's where Facebook marketing reigns supreme. An example of a post that includes a quote and a call to action to ignite community engagement. 1. Engage fans with content they can share. Facebook is a powerful community hub, giving even the biggest brands a human face. It is not, however, a venue for spamming your fans. They're on Facebook for fun and human interaction, not sales pitches. Photos, questions and other interactive content, along with clear calls to action such as "click here" and "share this," give fans compelling opportunities to interact with your brand. Think about the pages you interact with. Do they include long text or fun photos? Updates that promote or updates that entertain and inform? Test different approaches and compare results. Which posts get the most traction? 2. Turn your raving fans into leads. Once you succeed in increasing engagement -- measured in part by the number of people "talking about this," which counts all fan interactions over a period of time -- it's time to move your fans to take an additional action, preferably one that results in a lead outside Facebook. Step two of your Facebook sales funnel starts with sharing content that invites fans not to comment, share or like -- all actions inside Facebook -- but rather to visit a link outside of Facebook. This can be a page on your website or a Facebook app and have people opt into your list. Facebook custom apps are useful lead generation tools because you can collect leads without taking your fans outside Facebook. Moving your fans to action takes an extra leap of faith on their part, so when you first take them outside Facebook or to a Facebook app, do so with a valuable offer, such as a contest entry or a free e-book or webinar, not a sales page link. 3. Introduce sales opportunities via email. Now that you've started to build your list on Facebook, you can deploy email marketing to build relationships with your warmest leads, and gradually introduce sales opportunities too. Email marketing is the third part of your sales funnel, and it's the best place to convert fans into customers. Instead of annoying your Facebook community by broadcasting sales messages, you can market your product to qualified leads right in their inboxes. Focus on creating engaging social content for your email list, just as you would for any other marketing channel. The key is to balance appealing content with sales messages. One approach is to send out emails to encourage your audience to check out your latest blog post, sign up for your webinar or download your latest report--all free, valuable content. Once they consume that great content, you can use email marketing to encourage them to take the next step and do business with you. 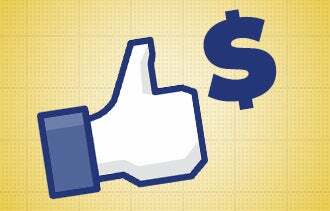 If you nurture your opted-in leads with giveaways on Facebook and use the "help now, sell later" approach to email marketing to close sales, your converted Facebook fans will likely be happy to open their wallets.